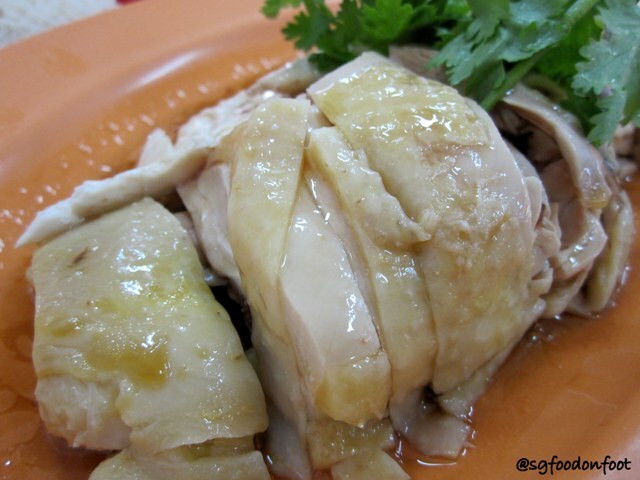 Sin Kee Chicken Rice used to be located at Commonwealth Avenue Food Centre second floor. It has moved to block 38 along the Commonweath Avenue along the main road with a larger and air conditioned premises. Very basic interior with blown up posters of awards and photograph taken with President Nathan. The chicken indeed is still one of the best in town with its jelly like skin, tender and succulent meat. The chicken rice was also very fragrant even thought ginger was not used unlike the norm in most chicken rice stalls. Another important ingredient for chicken rice is the chili sauce which was excellent too. I have to say Sin Kee has it all, the chicken meat, rice and sauce.